I found this letter in University as I was traveling from the library to a protest against cigars. Sounds weird, but don’t forget, it was 2003. 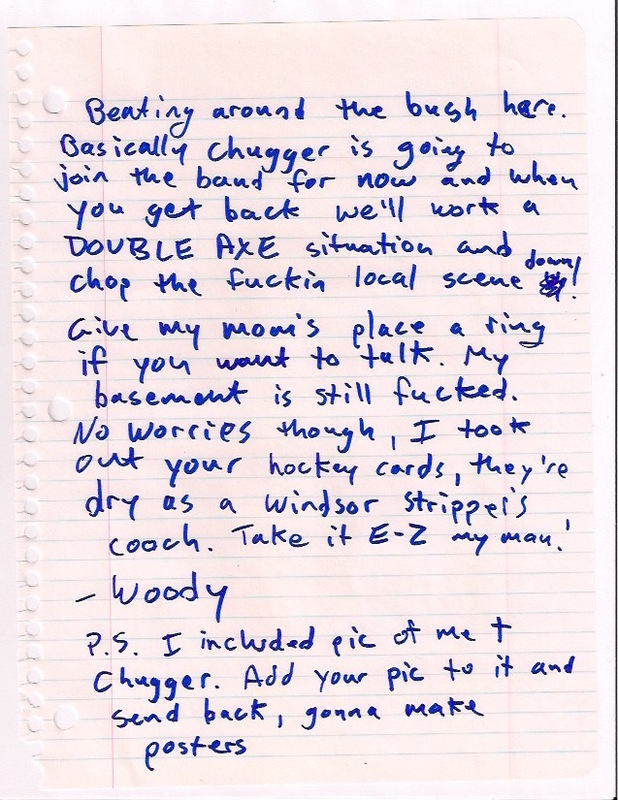 This letter is to a musician Cory who’s in a band with a guy named Woody. 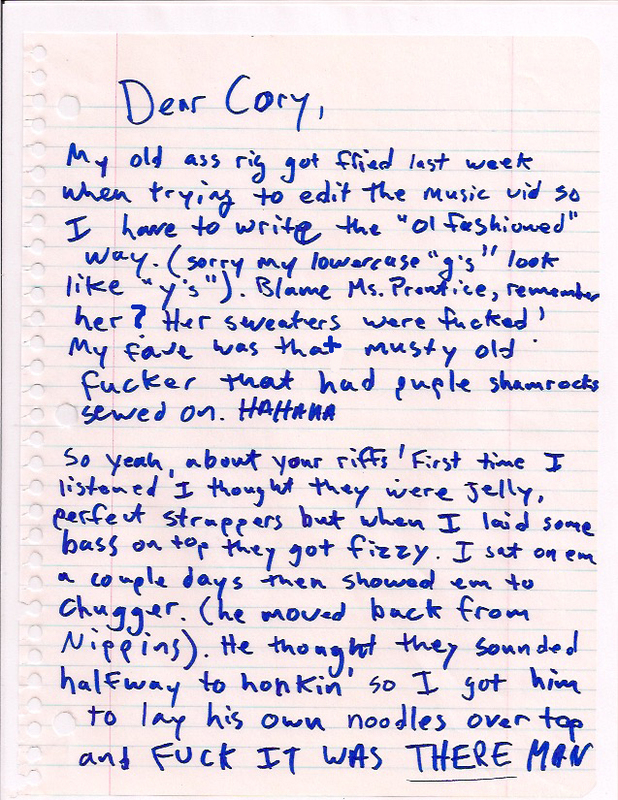 This entry was posted in Uncategorized and tagged band, cory-spondence, handwriting, music, music industry, paper, penmanship. Bookmark the permalink.